I'm proud to present Makiia Lucier here on my blog! She's releasing her new novel, Isle of Blood and Stone, on April 10. Should you pick up it, prepare for a world full of fantasy and romance. Today, we'll learn a little about her inspiration behind Isle of Blood and Stone, how she picks character names, and more. To learn more about her novel or background, click here or visit Makiia's website. 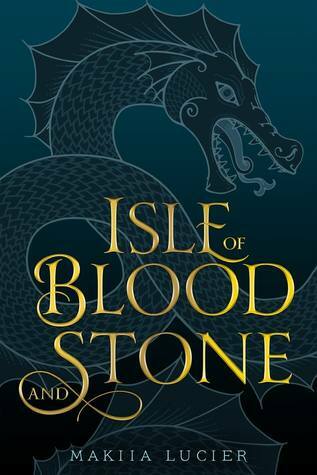 How did you come up with the premise for Isle of Blood and Stone? As a kid growing up on Guam, I was obsessed with the Indiana Jones movies. I wore out our VHS copy of Raiders of the Lost Ark. I waited in line, in the sweltering, tropical heat, on opening days for The Temple of Doom and The Last Crusade. The snakes were awesome and so were the catacombs full of rats. But what I really loved was how Indy solved puzzles, turning the clues over in his mind, and using his knowledge of art and history and myth. Isle of Blood and Stone was inspired by my love of adventure stories with smart, funny, brave heroes. It is the kind of story I grew up loving, the kind I would wait hours outside a movie theater to see. What draws you to historical fantasy and fiction? I suppose I like to write what I read. One of my favorite sayings is L.P. Hartley’s, “The past is a foreign country: they do things differently there.” Armchair travel is a wonderful thing, the ability to learn about new places and people and events without the risks. The Napoleonic Wars, the Middle Ages, World War I. These are fascinating periods. And if an author throws in a dragon or two, or other fantastical elements, so much the better. How do you typically pick your characters' names? I’ve loved the name ‘Mercedes’ ever since I first read The Count of Monte Cristo. So I started with Mercedes, which is Spanish in origin, and other names, like Elias, Lord Silva, and Ulises, came afterward. Some, both character and place names, were more personal. Marine Drive (or Marinus Road) is one of the main streets back home on Guam. Reyna is my favorite cousin’s name. The village of Esperanca is named after my grandmother. And the Sea of Magdalen…well, Maggie was my mother’s name. Which was more challenging: writing your first or second novel? They were both challenging in different ways. With A Death-Struck Year, I really didn’t know anything about story structure or preferred word counts or the publishing business in general. I also wrote on faith; I had to finish the entire manuscript without knowing if I would be able to even find an agent, let alone an editor. The one great thing about writing it, though, was that no one knew about it except my husband. My book was my secret, and if I failed, I could fail as quietly as possible. There was a certain freedom in that. For me, the hardest thing about writing a second novel was coming up with a story idea that I could see through to the end. Don’t get me wrong, I had a ton of ideas. But most were ridiculous or too flimsy to make it past a few experimental chapters. I’m very grateful Elias and his maps came along and saved me. What's one thing you always have near you when you're writing? I write old school, with pencil and notebook, and my electric sharpener is always nearby. It’s a beautiful thing. 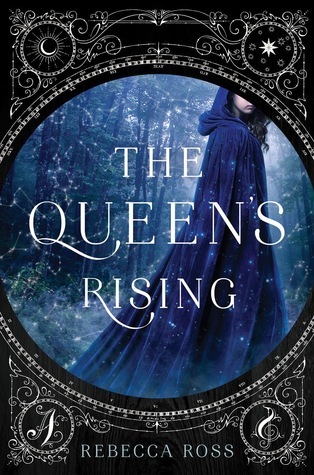 I think anything by Juliet Marillier is underrated. 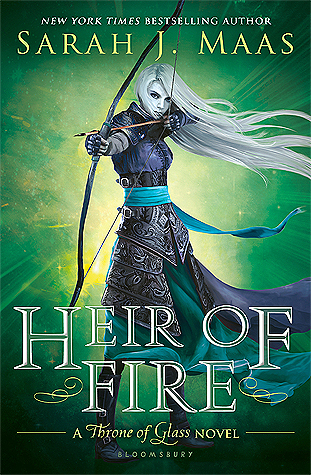 Her Shadowfell series is wonderful.